Photo courtesy of Courtney House. GV Contributor Joyce Newman provides tips and advice on maintaining beauty, sweet-smelling and long-lasting evergreen holiday decorations. Step One: Choose the right evergreen species. Firs and pines, for example, do quite well indoors, while hemlocks and spruces don’t—they’re known for dropping their needles. According to plant experts at the New York Botanical Garden, several standouts among the firs and pines are: Balsam fir (Abies balsamea), the most commonly used as a cut tree; Fraser fir (Abies fraseri), also excellent as a cut tree and very fragrant; Douglas fir (Pseudotsuga menziesii), suitable as a cut tree; and Scotch/Scots pine (Pinus sylvestris), which works well both cut and as a planted tree. For wreaths, garlands and swags, gardeners at Wave Hill in New York City suggest Eastern White pine (Pinus strobus) because it is very pliable and has lovely clusters of soft, bluish-green needles. They also recommend including a variety of evergreen branches in garlands and swags to add different textures and shades of green. All of these evergreens have good “needle retention,” which, experts say, is one of the most important characteristics to look for. They also have strong, yet flexible, branches that can support decorations and stay in shape even after you haul them around. This test will also shake off any insects and get rid of other unwanted hangers on. You can also try bending a needle. It should be flexible. Step Three: Create cool conditions for storage and display. 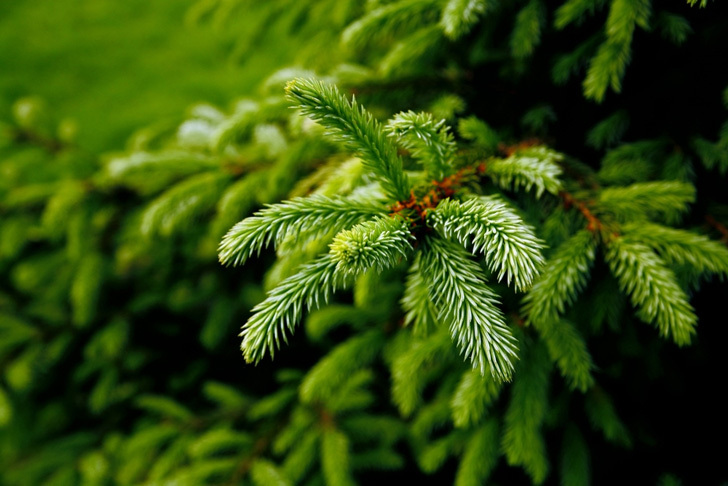 New York evergreen expert Charles Day says “keeping them cool” is actually the single most important thing you can do for evergreens. Cool storage and locations help the plants absorb and retain water. With evergreen trees, make sure the bottom of the trunk is sitting in water that is checked and refilled daily. (A tree in a warm room can absorb a few quarts of water per day.) You can make a cut across the trunk about ¼” above the end of the trunk to permit better water absorption. For wreaths, garlands or arrangements, first rinse them in cool water, clear out any broken leaves and needles, and slit the stems at a spot about 2-3” above the ends to help them absorb water. Store the branches in cool temperatures and in water for at least eight hours prior to use, checking to maintain high water levels. This entry was posted in Holiday Decorating, Holidays, Uncategorized and tagged Charles Day, Christmas, christmas decorating, christmas trees, Consumer Reports, evergreen derocations, evergreens, garlands, holiday decorating, Joyce Newman, New York Botanical Garden, NYBG, Wave Hill, wreaths. Bookmark the permalink. I used some gray Pfitzer juniper and purple hued Cryptomeria elegans for a swag this year with some Oregon grape for the Holly effect. It’s stayed beautiful and fresh for weeks! Great post on how to keep evergreens nice thru the season.